With thousands of people losing their jobs, and a protracted period of economic uncertainty ahead of us, many employees are looking for ways to make sure that their CV is recession proof. It is particularly important in economic climates of this sort that your CV reflects your abilities properly, and encourages you to stand out in a crowded field. This means spending some time making sure that your CV is up to scratch. This might not be the most exciting way to spend your time – but by tackling it now, you can ensure that your CV is fighting fit and ready to get you the job you want. It might seem like the world of employment belongs to the young, but experience remains a valuable asset. 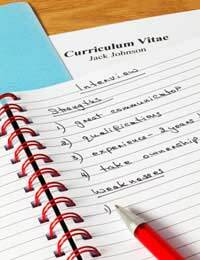 Make sure that your CV highlights the depth of your experience in your chosen field. Explain exactly why you are best qualified for this role – without sounding arrogant! Remember, though, that you should try not to appear stuck in a career rut. Flexibility is also important. Read below for more information on this. When drafting a CV many people instinctively go for a chronological format, in which you start with your earliest employment and work forwards to the present day. But this may not be the best option in all cases – particularly if you have been out of work. Rather than choosing a chronological CV format, divide the document into categories that outline each of your main skills or attributes. Within those sections, provide details of projects or pieces of work that demonstrate your abilities. Now, more than ever, businesses are concerned about tangible results. They want to know what every new hire will contribute to their bottom line – that is, they want clear evidence that you know what you are doing, and that you will be able to help drive growth within the business. In order to help reassure your prospective employer, make sure that you highlight tangible results that you have delivered in the past. For example, phrases like “I lead project x, which helped to drive a 20 per cent increase in acquisition rates over a three month period” work well. Many jobhunters are concerned about being written off either because they are too old or too young. This problem has become particularly acute for those in their 30s or 40s who have recently been made redundant, and who find themselves competing against candidates much younger than themselves. Remember that you are under no obligation to put your date of birth on your CV. If you are worried about being discriminated against on the grounds of age, just leave it off. In the current climate, flexibility is a key attribute. Prospective employers want to make sure that you will be able to turn your hand to a range of different tasks, and that you are a quick learner. They will also want to know that you are prepared to step out of your comfort zone. Use your CV to highlight moments when you have explored new avenues of work. For example, have you completed a project that was outside your original remit? Do you have evidence of your ability to learn new skills quickly? If so, make sure these are highlighted. Customisation is amongst the most important tasks facing anyone writing a CV. It is vitally important to remember that a standard form CV, sent to dozens of employers, simply will not cut it. Businesses can tell instantly when they receive a mail merged CV – and more often than not it will go straight in the bin. Instead, make sure that you customise your CV in order to make it as relevant as possible to the job for which you are applying. Pick out the key points from the job advert, and ensure that the CV addresses these head on. Finally, remember that the cover letter is often as important as the CV itself. First impressions matter enormously, and your cover letter provides you with the opportunity to shape those first impressions. Again, make absolutely sure that the cover letter is personalised for the job for which you are applying. Use it to explain why you are the right person for the role, without just duplicating the information in your CV. And most important of all – check, check, and check again. Silly spelling mistakes (or, even worse, getting the name of the person wrong) will often be enough to dissuade the reader from even bothering to look at your CV.